22 Oct Which Birmingham company has the best SEO Strategy? When it comes to SEO strategies in Birmingham, there are some sites which have got the upper hand. No matter how good your business is, when it comes to ranking high on the SERP, you’ll need to be smart, flexible and current if you want to beat the competition. SEO really matters if you want to reach your full potential. In the modern world, lots of your customers will find you through a Google search so you’ll need to be one of the first they see when they hit the enter key. Here’s a closer looks at some of the key players in three industries across Birmingham and how they compare with their online digital strategies. The two top clubs in the area are Birmingham City and Aston Villa, two big rivals not just on the pitch, but off it too. Neither team has been topping the league in recent years but that doesn’t deter their armies of loyal fans. But which team has their eye on the ball when it comes to SEO strategies and how much influence has it had? There’s a number of metrics which are important but the first one to look at, and one of the most revealing, is the estimated organic traffic per month. This refers to visitors to the site who have arrived without any input from the site owner. It’s not in response to any paid adverts or any kind of marketing campaign; this traffic comes from unprompted Google searches and in some ways, is the most valuable of all. Birmingham City (www.bcfc.com) manage to rack up 45.7k visitors per month, in what sounds like a pretty impressive stat until you look at what their close neighbour achieves. Aston Villa (www.avfc.co.uk) easily wins this category outright with close to double the amount of organic monthly traffic at 88.6k visitors. Another important factor when assessing a websites SEO is the amount of keywords the websites rank for. And it’s here that we can see just why Aston Villa outperformed their rival off the pitch as well as on it, with the number of UK keywords ranking on Google dwarfing the number featured by Birmingham City. Villa have a whopping 17853 compared to just 8859 from Birmingham, once again a difference which is almost double. The quality of these keywords is critical too as it’s the first page of Google where you want to appear. Out of these 17853 keywords for Villa, 3062 appeared on page 1 with just 1437 appearing for Birmingham. But although content is most certainly king, it’s not just about keywords. Backlinks are another important factor but once again, get it wrong and you’ll do more harm than good. Google looks for backlinks as a way of verifying that your site is authentic, and the more trustworthy the site that links to you, the more credits this adds to your name. However, if the site that contains a backlink is poor, full of spam or completely irrelevant to your product or brand, then you could be harming your SEO in the eyes of Google. Birmingham City has 109k backlinks while Aston Villa contains 322k, but these numbers only tell part of the story. One of the other factors that Google uses to verify the quality of the backlinks is the number of referring domains they come from. If there are lots of backlinks but few referring domains, it’s an indicator that you may have paid for these links, thus undermining the credibility. Birmingham have 3.64 referring domains and Aston Villa have 6.77k, both a good number which add solidarity to the this part of their SEO. It’s clear from the above stats that Aston Villa is the team that walks away with the three points on this occasion, outmanoeuvring Birmingham Football Club on all aspects. However, despite having suffered a recent downturn in their performance on the pitch, they have been much more successful than Birmingham Football Club historically. SEO could in part be part of the reason, and certainly if you look at the average home ground attendance, Aston Villa’s crowds are around 13,000 higher. The difference in organic traffic is much greater than the disparity between the fan numbers though, which suggests that the success of the website is more attributable to the SEO than the achievements of the team. If you’re out and looking for a good place to eat, Google is your friend. A quick search will throw up suggestions about places to try which are local. But how far would you scroll down to find a decent eatery? Most folk won’t go further than the first page which is why it’s essential to bump up your rankings as high as possible. Adams and Purnells are two top quality restaurants in Birmingham and when you look at their stats, they’re very evenly matched in some areas. Organic traffic for both is identical at an average of 6.2k, but Purnells takes the lead when it comes to backlinks with 2.88k compared to just 1.66k for Adams. Both have a relative number of referring domains supporting these backlinks with Purnells coming in at 439 and Adams with 259. However, despite Purnells superior performance on the backlinks and referring domains, it doesn’t feature as highly on Google as its competitor. Adams currently ranks 11 for the keyword “restaurant Birmingham” and Purnell’s 12, Adams is the highest ranked independent Birmingham restaurant with the top 10 results made up of platforms such as Trip Advisor and curated lists such as the Birmingham Mails “10 top restaurants in Birmingham” list. But how much do these results matter? Looking through reviews of the best restaurants in Birmingham, Adams consistently out performs Purnells coming top in three out of five lists we analysed. So it seems the top SEO restaurant in Birmingham is also the one with the highest rating, a coincidence? I think not. A clear win for Adams! You’ve watched a football match and had a nice meal, and now need somewhere to sleep for the night, but which hotel should you book? A quick Google search will reveal there’s plenty in the area but three in particular stand out as being especially appealing. Premier Inn is a brand that many people know and trust, but on this occasion it’s the specific Birmingham hotel which is being assessed. With 3.1k organic traffic every month, it’s just ahead of its rivals with Britannia securing 2.8k and Park Regis with 3k. The traffic to hotels is much lower than either football clubs or restaurants, and this is reflected in the number of backlinks and domains too. Premier Inn have 42 backlinks with 20 referring domains, Britannia Hotels score much higher with 445 and 86 while Park Regis are top with 1.35k and 262. 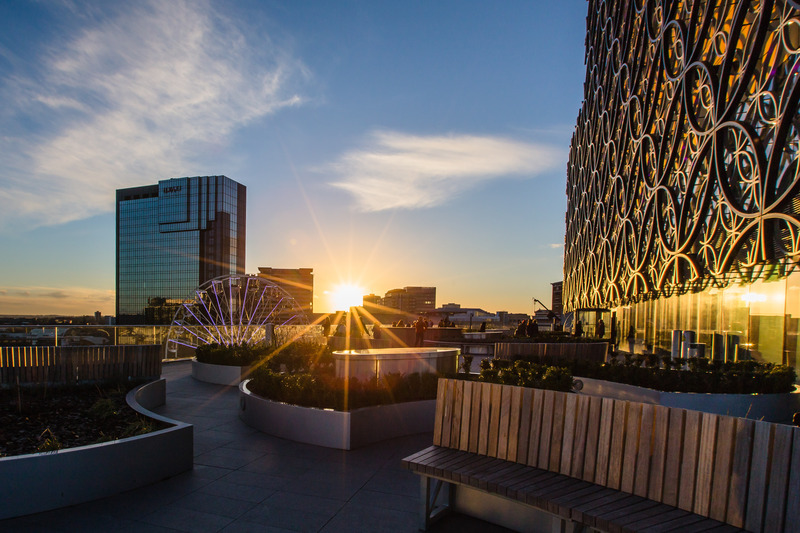 Park Regis outperform the other two for keywords as well, showing just why it’s ranked as the best independent hotel in Birmingham. The hotel ranks for 2606 Google keywords with 164 of these keywords appear on page one comparing to 1081 and 126 for Britannia and just 398 and 55 for Premier Inn. Looking at the SEO stats, it’s clear to see why Park Regis performs so well as an independent Birmingham hotel against the larger chains….but how comfy are the beds? Unfortunately SEO cannot tell us that. SEO can have such an important impact on any business in 2017 and we have only scratched the surface of the Birmingham search market. If you want your business or search market analysed then get in touch today, the SEO Geeks can help!